The Annual SBWN Christmas Party! It's been a great year for the Southern Business Women's Network and we would love to celebrate this success with the people who have made it happen and that is YOU! The support from within our organisation this year has been nothing short of amazing and the committee would like to thank all our members and let everyone know that we are extremely motivated to keep up the good work. 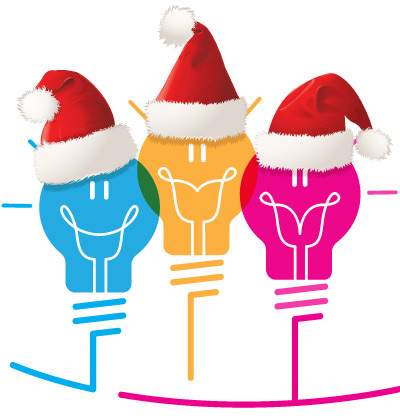 In the coming year we have lots of great events already lined up so there is plenty to look forward to and discuss. Join us for a casual event in a most iconic location - for an evening that will provide heaps of opportunities to mingle and network with other passionate and interesting women. We will also do a little fundraiser in the giving spirit of the season. 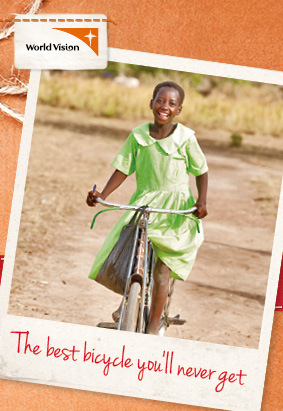 With an optional donation of $5 to World Vision we can make the gift of a bicycle to girls in countries like Uganda. A bicycle provides a much safer and speedier way to get to and from school and increases the opportunities to attend exponentially. The Korumburra Train Station, a heritage listed building erected in 1907 in the Queen Anne style, is the historic backdrop for our December event. We are also very lucky to have Lucy May of Lucy May's Cafe in Korumburra catering on the night. Lucy May's Cafe is rated very highly by both UrbanSpoon and Tripadvisor so you can look forward to a delicious buffet. Wines, bubbly and non-alcoholic refreshments will also be available. 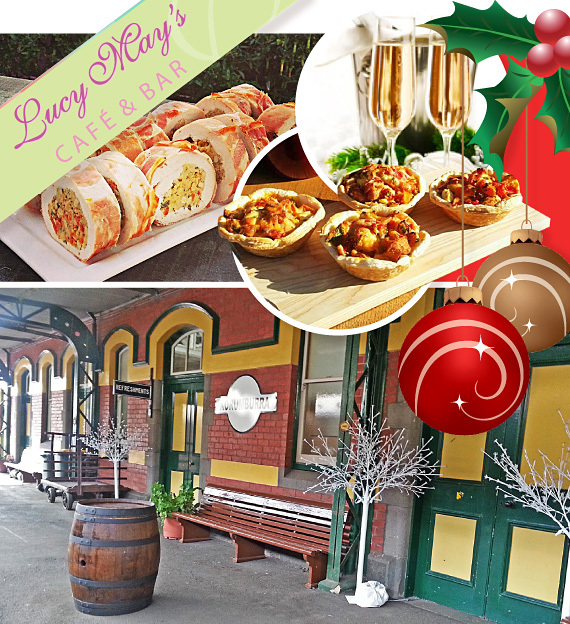 Above: Our December Christmas party will be held at the historic Korumburra Train Station and will be catered for by Lucy May's Cafe, yummmm.